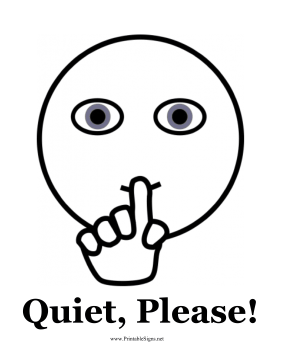 A round face is holding its finger to its lips and saying shhh in this printable sign that also reads Quiet, Please! It lets children know that a room is a quiet area designed for silent study, reading and writing. It is perfect for computer labs, libraries, classrooms and study halls.